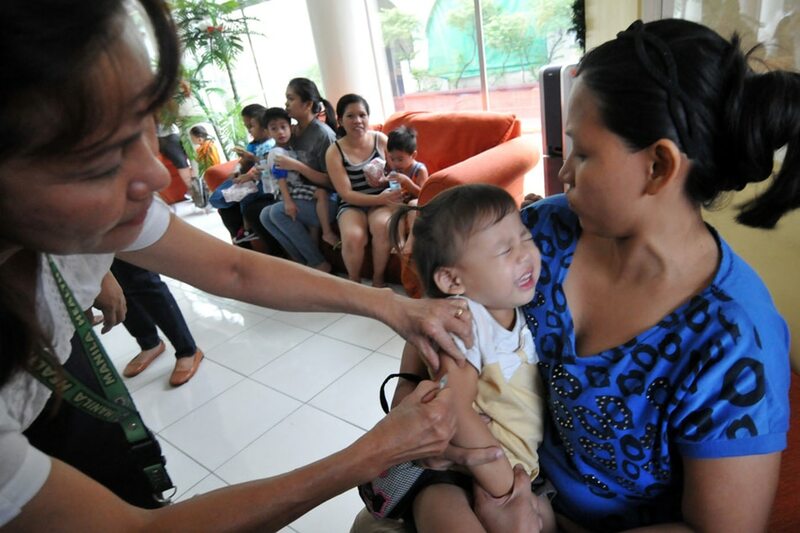 MANILA- More than 2 million Filipino children are at risk of getting infected with measles due to lack of immunization, the Department of Health said Wednesday. Dr. Ruby Constantino, director of the DOH Disease Prevention and Control Bureau said another measles outbreak is expected this year with 2.4 million unvaccinated children. "We are impending that we will have another outbreak for this year," she said in a television interview with CNN Philippines. The DOH has expressed alarm over the rising number of measles cases, urging parents to have their children vaccinated against the infectious disease. "This is really a bit alarming. We really need to intensify, catch up with our vaccination levels here in the Philippines," Health Undersecretary Eric Domingo told radio DZMM. Measles cases may further increase during its peak season in summer between March and April. "Nakakatakot po na tumaas pa lalo kaya itong buwan po sana pabakunahan na [ang mga bata]," Domingo said. The Philippines saw a fourfold jump in measles cases from 4,000 cases in 2017 to 21,000 cases last year. Constantino attributed the increase to the Dengvaxia scare which eroded Filipinos' trust in vaccines. In the San Lazaro Hospital in Manila alone, 7 children died within a day due to measles while at least 248 children are being treated for the disease as of Tuesday morning. an airborne disease that infects the respiratory tract, and its complications which include severe diarrhea, pneumonia, blindness, and even death.